Nanaimo, BC, Canada, on the shores of the Strait of Georgia, is centrally located on Vancouver Island, British Columbia, Canada. The waterfront community is referred to as "The Harbour City" and has a long nautical history. Nanaimo is a major transportation hub for Vancouver Island with three BC Ferry Terminals, floatplanes, and a Nanaimo Airport. Activities most enjoyed in the City of Nanaimo and the surrounding areas include boating, sailing, ocean kayaking, scuba diving, fishing, hiking, golfing, cycling, mountain biking, wind surfing, sightseeing, canoeing, off roading, camping, swimming and birdwatching. A few of the more popular activity and sightseeing park and trail destinations located in Nanaimo and the surrounding area includes Neck Point, Bowen Park, Newcastle Island, Departure Bay Beach, Morrell Nature Park, Elliott's Beach Park, Pipers Lagoon Park, Westwood Lake, Buttertubs Marsh, Maffeo-Sutton Park, Malaspina Galleries, Petroglyph Park, Cable Bay Trail, Parkway Trail, Pirates Cove Marine Provincial Park, Newcastle Island, and Diver Lake Park. Some of the most visited natural attractions, museums, art and cultural venues in Nanaimo, British Columbia and the surrounding regions includes Protection Island, Gabriola Island, Nanaimo Bastion, Vancouver Island Military Museum, Port Theatre, Vancouver Island Symphony (VIS), Old City Quarter, Nanaimo Museum and Shack Island in Pipers Lagoon Park. What are the Accommodations, Services and Amenities in Nanaimo, BC? 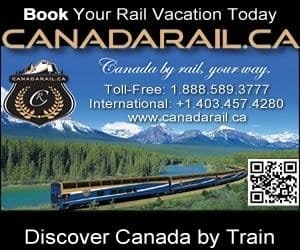 What are the places to stay in Nanaimo, BC? 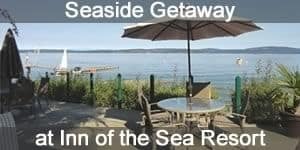 Places to stay in Nanaimo include accommodations like hotels, motels, resorts, vacation homes, cottages, bed and breakfasts, rental suites, hostels and campgrounds. Important services and amenities for travelers when exploring in and around Nanaimo, BC, Canada includes tours, guides, pubs, restaurants, gas stations, gift stores, liquor stores, grocery stores, winery, big box stores, banks, and transportation services including taxi, bus, water taxi, car rentals, marinas, the Nanaimo Airport (Cassidy) and three BC Ferry Terminals (ferry schedules). Duke Point Ferry Terminal (southside of Nanaimo) - services the Vancouver Mainland. Departure Bay Ferry Terminal (central Nanaimo) - services the Vancouver Mainland and Sunshine Coast. Gabriola Ferry Terminal (south Nanaimo) - services Gabriola Island of the Gulf Islands. Explore Nanaimo, British Columbia, Canada Travel Guide for Accommodations, Attractions and Adventure. eh! Plan to Visit Nanaimo today.